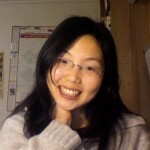 Jiehua Chen is an Associate Research Scientist with the AgCenter. Dr. Chen received her Bachelor’s Degree in the Fundamental Science Program (Math and Physics) from Tsinghua University (Beijing, China) in 2002, and her Master’s degree in Economics and Ph.D. in Statistics from Stanford University in 2008. She did her postdoctoral research in the Modi Research Lab and the Statistics Department at Columbia University, focusing on random experiments for information propagation in rural areas of Africa, and teaching graduate-level statistics courses. Her research interests are in developing statistical tools for analyzing spatial-temporal data, high-dimensional data analysis, and image processing of remote sensing data. 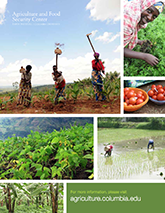 These interests are currently being applied in AfSIS, which includes statistical analyses of spatial-temporal soil and agricultural yield data, hyperspectral soil data, and satellite imagery.